NetEnt has taken its portfolio up a gear with the release of nitro-fueled slot Drive: Multiplier Mayhem. 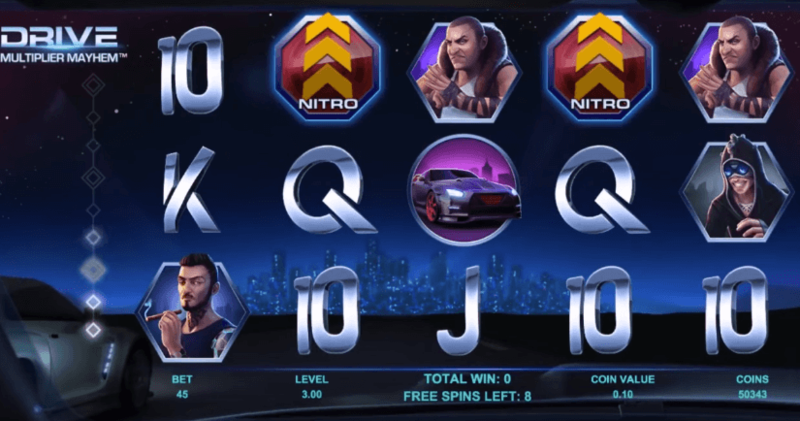 The high-octane video slot puts players in the driving seat to ‘race’ against three rivals, in order to level up and get a taste of even more action. You will need to buckle up for a ride in this five-reel, three-row, 15-line slot, which includes a Nitro Collect Meter, Free Spins and a multiplier that can reach up to a massive 120x the original stake. Collecting Nitro Symbols will help progress through each step of the game.